Real Americans are white Americans and other than white Americans are referred to in a way that their Americanism is qualified. What is the affect of this marginalization on people? How do marginalized people deal with racism and bigotry they experience daily? Three time periods - young adolescence, mid-teen and young adult - in the life of African-American, gay Chiron is presented. When a child, Chiron lives with his single, crack addict mother Paula in a crime ridden neighborhood in Miami. Chiron is a shy, withdrawn child largely due to his small size and being neglected by his mother, who is more concerned about getting her fixes and satisfying her carnal needs than taking care of him. Because of these issues, Chiron is bullied, the slurs hurled at him which he doesn't understand beyond knowing that they are meant to be hurtful. Besides his same aged Cuban-American friend Kevin, Chiron is given what little guidance he has in life from a neighborhood drug dealer named Juan, who can see that he is neglected, and Juan's caring girlfriend Teresa, whose home acts as a sanctuary away from the bullies and away from Paula's abuse. With this childhood as a foundation, Chiron may have a predetermined path in life, one that will only be magnified ..
Moonlight won the Academy Award for Best Picture in 2016 and is a dramatic story of childhood neglect, drug addiction, bullying, and homophobia. Moonlight is not escapist entertainment but a serious film that helps the viewer understand the impact of poverty, drug addiction in the family, homophobia, and bullying. This movie is painful to watch. Moonlight also tells a very muted story of forgiveness between mother and son, and love between two men which is marginalized but persistent. Moonlight is a movie that can help people develop empathy and understanding for the suffering of people in poor urban communities. 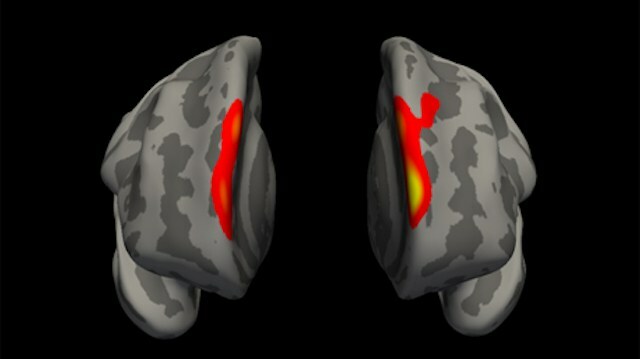 A study conducted by researchers from the University of Zurich, Zurich University Hospital and the University Hospital of Psychiatry Zurich now reveals that the successful treatment of an anxiety disorder alters key brain structures that are involved in processing and regulating emotions. In patients suffering from social anxiety disorder, regulation of excessive anxiety by frontal and lateral brain areas is impaired. Strategies aimed at regulating emotions should restore the balance between cortical and subcortical brain areas. These strategies are practised in cognitive behavioral therapy (CBT) which is a central therapy for social anxiety disorder. What is the bio-psycho-social model? The Republican proposal to replace the Affordable Care Act would strip away what advocates say is essential coverage for drug addiction treatment as the number of people dying from opiate overdoses is skyrocketing nationwide. Beginning in 2020, the plan would eliminate an Affordable Care Act requirement that Medicaid cover basic mental-health and addiction services in states that expanded it, allowing them to decide whether to include those benefits in Medicaid plans. The proposal would also roll back the Medicaid expansion under the act — commonly known as Obamacare — which would affect many states bearing the brunt of the opiate crisis, including Ohio, Kentucky and West Virginia. 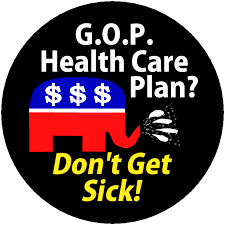 Thirty-one states and the District of Columbia expanded Medicaid under the ACA. 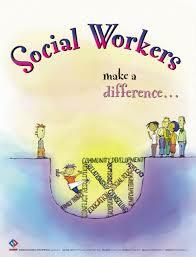 A professional Social Worker is not a "do gooder, but a licensed professional. Yet many people still misunderstand exactly what a social worker is and the positive contributions social workers make in our society. For instance, NASW in 2016 asked Harvard Medical School’s Health Publications to correct a definition of social workers that seriously downplayed the role social workers play in providing mental health services in our nation. Some reporters continue to write negative articles about a “social worker” making a mistake. However, on closer examination, the identified person in the story is often not a social worker by education, training or licensure. Other reporters will casually describe a local volunteer or community activist as a social worker. Although this is flattering, it ignores the fact that social workers obtain extensive education, training and credentialing so they can proudly carry the social work title. And some states have licensing laws that do not include title protection for social workers. In these states anyone can self-identify as a social worker – they just can’t call themselves licensed social workers. It is important consumers know there is a difference. 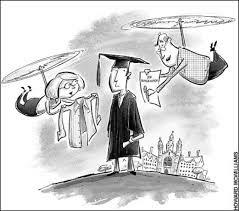 Helicopter parenting may create "imagined incapacity" in children. "Imagine a young person very attractive and a little uncertain. Imagine further a mother of this only child a little hovering, a little too eager to be helpful and advisory. This not uncommon situation puts the young person at risk of what we can term "imagined incapacity": the half conviction of being unable to do all sorts of things that in fact she probably can do." Leston Havens, "Freud's Invention"
This "imagined incapacity" creates all kinds of symptoms such as anxiety and depression. There is a learned helplessness which takes persistent effort to overcome. Psychotherapy helps.